Our time in Glacier was based in Whitefish, Montana. 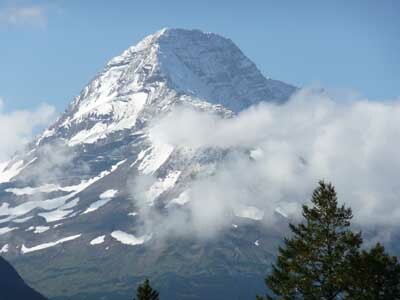 We arrived there on the afternoon of September 12, 2008 and planned to begin our tour of Glacier on Saturday September 13, 2008. Our timetable for Glacier was determined by construction activity on the Going to the Sun Highway, the only way to get from the Western Side of the Park to the Eastern Side of the Park and stay within the park. The alternative is a long drive along the parameter of the park. (A drive we actually made once.) 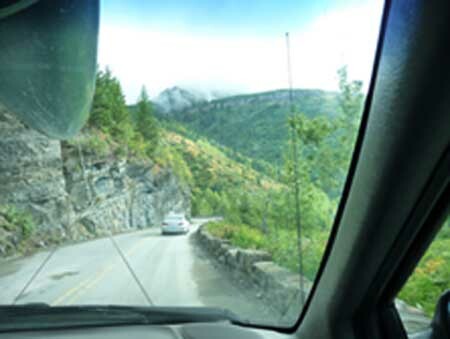 The Park Service closed the Going to the Sun Highway to East Bound traffic starting on Monday, September 15, 2008. This meant that all activities planned for the eastern side of the park had to be conducted on September 13 and 14. 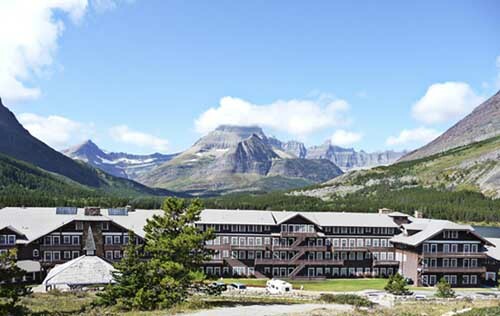 Many Glacier Lodge with Swift Current Lake. 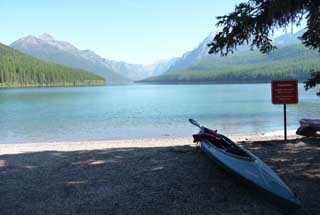 Our plans for the Eastern Park of the park included a boat tour on Swiftcurrent Lake and Lake Josephine in the Many Glacier Section of the Park. This included a hike to Lake Grinnell. Because the last day the boats traveled was September 13, this set the activities for Saturday. Because the Swiftcurrent Lake was so pretty, we decided to return on Sunday paddle Swiftcurrent Lake with Nessie. Other than the boat trip at Many Glacier, the only other must activity was a paddle on Bowman Lake in the Northwest corner of the park. The road to Bowman Lake is mostly unpaved and goes through the town of Polebridge, Montana.